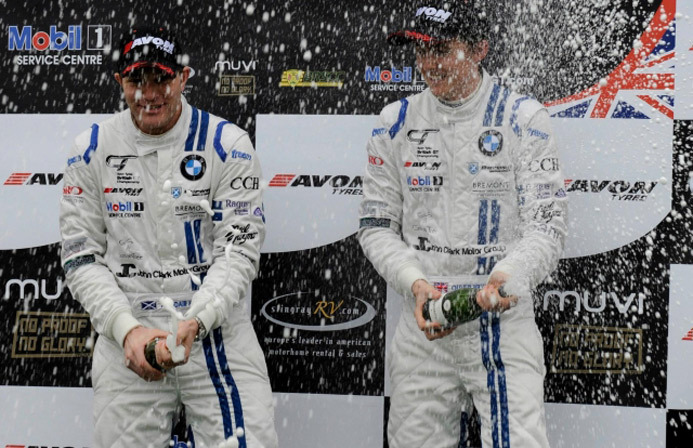 The Ragus logo appeared on the top step of the podium at Oulton Park on Bank Holiday Monday as Ecurie Ecosse took a maiden victory in the opening round of the British GT Championship. Ragus will continue to partner the legendary sportscar team with a dual assault on the British GT Championship and the pan European Blancpain Endurance Series with the new BMW Z4 GT3. Sugar sponsorship has strong links supporting motorsport following Ragus’ partnership of Ecurie Ecosse at last year’s 24 Hours of Spa, a supplier link with 2011 Le Mans winners Team Audi, Mr. Cube’s sponsorship of the De Cadenet Lola that finished 3rd at Le Mans in 1976 and the Copersucar sponsored Fittipaldi F1 Team in the late 70’s. Ecurie Ecosse travel this weekend to the legendary Italian circuit Monza for the opening round of the Blancpain Endurance Series.